Ponce Inlet fishing charters – an experience like no other! A Ponce Inlet native with more than 30 years of experience, Captain Gary combines his knowledge of the area and fishing to guide you to the fish of a lifetime. 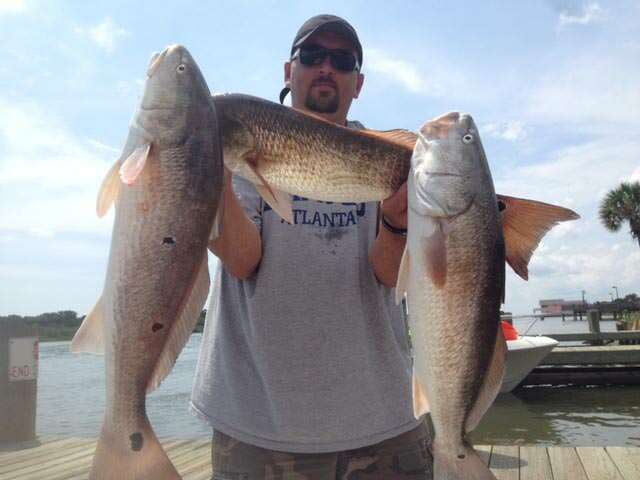 Trips with East Fla Fishing Charters in Ponce Inlet allow you to take advantage of this light tackle fishing paradise. Captain Gary will help you learn how, when and where to catch a variety of fish including Speckled Trout, Tarpon, Snook, Cobia, Kingfish, Grouper and Snapper. Call Captain Gary (386) 212-4506 today to book the Ponce Inlet Fishing Charter trip you won’t soon forget. Pricing is for 2 people for either 4 or 6 hours. Additional people may be added to fishing charters in Ponce Inlet for $50 per person.